Be the real ATV bike stunt hero on the beautiful city beach. Experience the best view of the beach and enjoy driving on the beach ATV bike quad. Let’s do some stunts on the eye-catching view of the city & beach and start your stunt racing on the ATV quad bike. Be a professional one and an expert quad bike rider. Enjoy the view and the ride on the ATV bike now. Start the beach racing now and do some extreme stunt racing. Choose the best quad ATV bike and complete the challenges within the time limit. 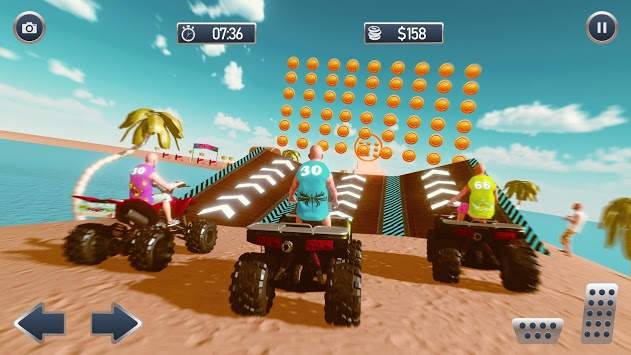 This is your chance to become the best beach ATV bike stunt racing hero. Play this fun and exciting racing simulator game with an amazing view of the beach. Hurry up and download this ATV racing game before it’s too late. 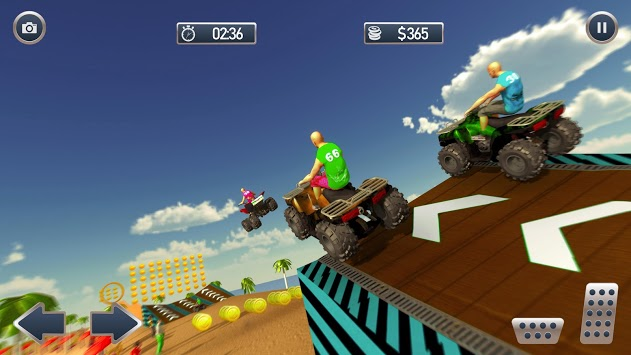 Be the ATV bike quad stunt master and complete all the challenges before the time runs out. 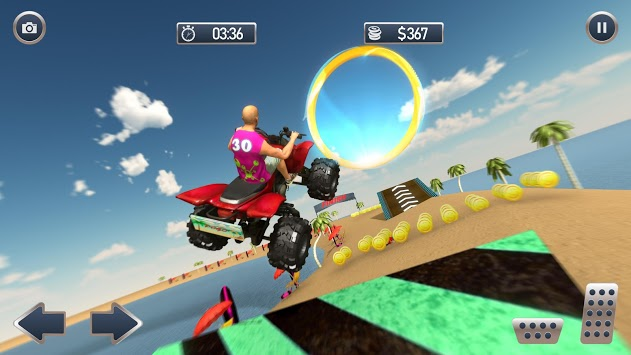 Enjoy the driving and riding of the extreme beach ATV bike and perform ultimate stunts on the beach.